Aww~Paradise! This road couldn~t be better named. 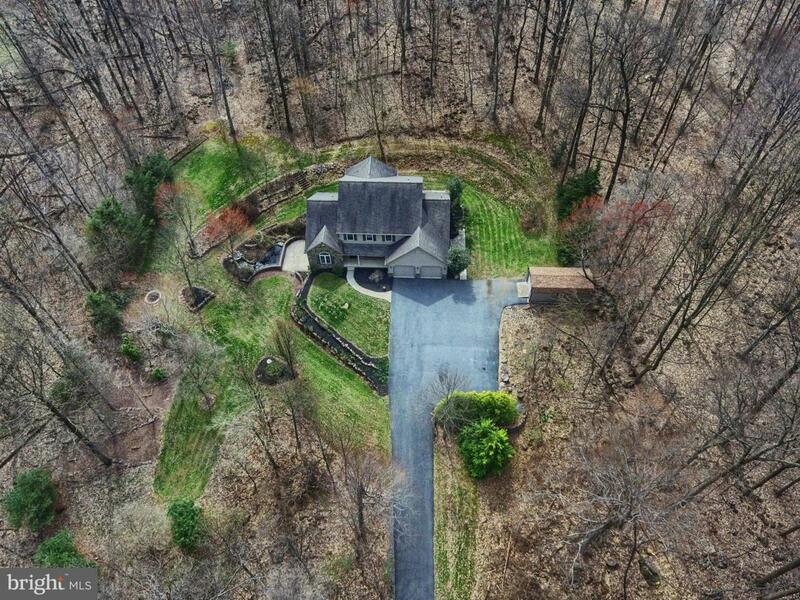 Nestled deep on nearly 4.50 acres of prime woodlands on a dead-end road and down a long scenic paved driveway is where you~ll find this extremely well cared for custom built 4 bedroom home. The owners spared no expenses when thoughtfully designing this home like 2x6 construction, premium insulation and sealant package which keeps heating and cooling bills ultra-low, extra drainage lines placed during construction to ensure a completely dry basement, and roof trusses with extra storage space in two areas of the roof system to name a few. 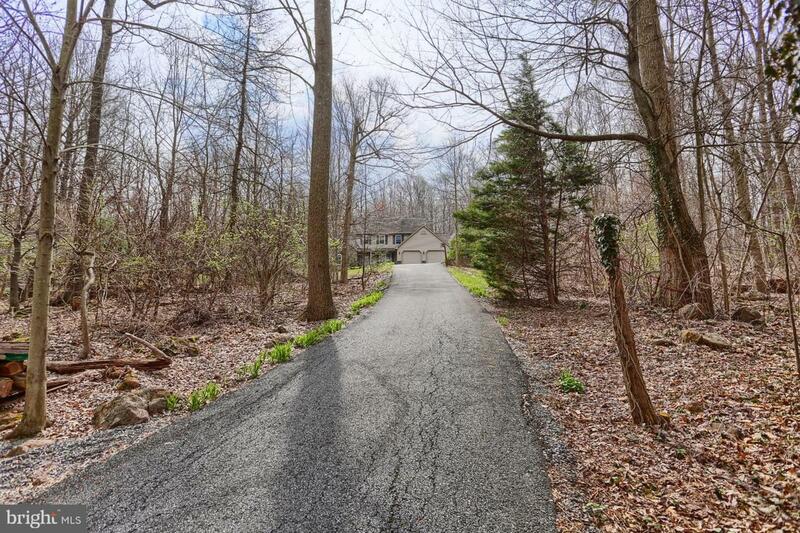 From the moment you drive up the lane to your new home your anxiety levels will drop as you~re taken in by the peace and serenity this lovely retreat provides. The front door opens to a foyer with the dining room to the right, which could be used as an office or playroom. The foyer leads into a massive 2-story Great Room, perfect for large gatherings. This flows nicely into the breakfast room with sliders out to the patio and lovely views of the woods. The kitchen offers eco-friendly Swanstone countertops which is extremely durable, maple cabinetry with a cherry stain, and a peninsula for counter seating. Off the Great Room is the first floor Master Suite with an eye-catching rustic wood accent wall and headboard, full bathroom, walk-in closet and leads into a cleverly thought out ~bonus or flex~ room which could be a nursery, office, sitting area~you choose. The laundry room, pantry and a half bath complete the first floor. Upstairs are 3 nice sized private bedrooms with ceiling fans, and a full hall bath. There is an abundance of windows in this home, which provides not only plenty of natural light but breathtaking views from every window. The walk-out daylight basement is bone dry, already plumbed for a future bathroom and offers 9 ft ceilings and was designed with beams to keep intended rooms free from poles, making it a great future in-law suite. 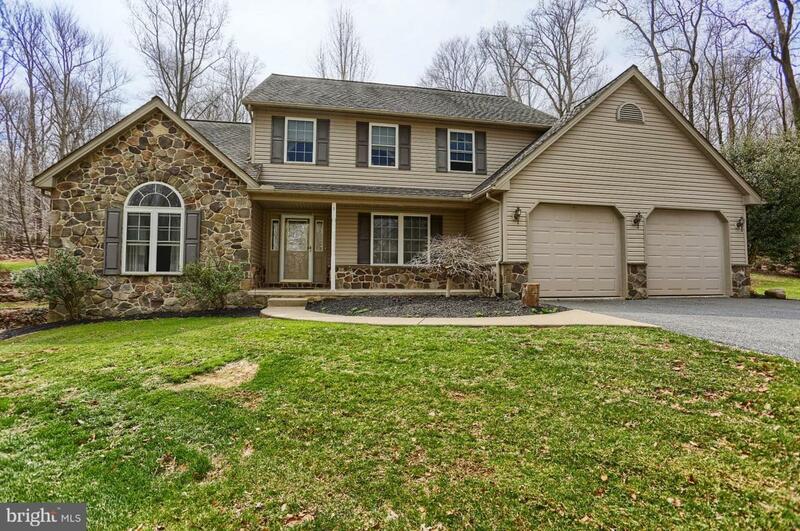 There are windows and sliders leading out to a stunning concrete patio with a large fish pond and stunning rock waterfall, hardscaping and lovely landscaping. The outdoor entertainment includes a fire circle, quoit pits, extensive hardscaping, rock walls and perennials to last from early spring to late fall. You~ll have no problem getting your kiddos off the gaming systems as this family has enjoyed watching their children climb trees, build forts in the woods, play in the dirt and camp out in the back yard with friends. 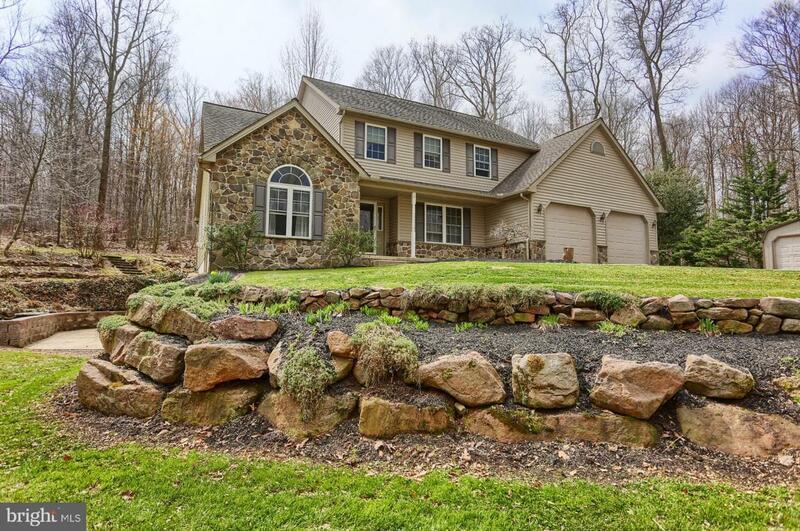 With only a 1-hour commute to Philly, Harrisburg and Allentown with easy access to the PA turnpike and only 25 minutes to Reading and Lancaster, this property offers location and serenity. Brand new high-efficiency HVAC system installed 7/2018 and water heater replace 2016. This property includes a 2 car attached garage as well as a large 1 car garage/shed/workshop. Welcome Home!